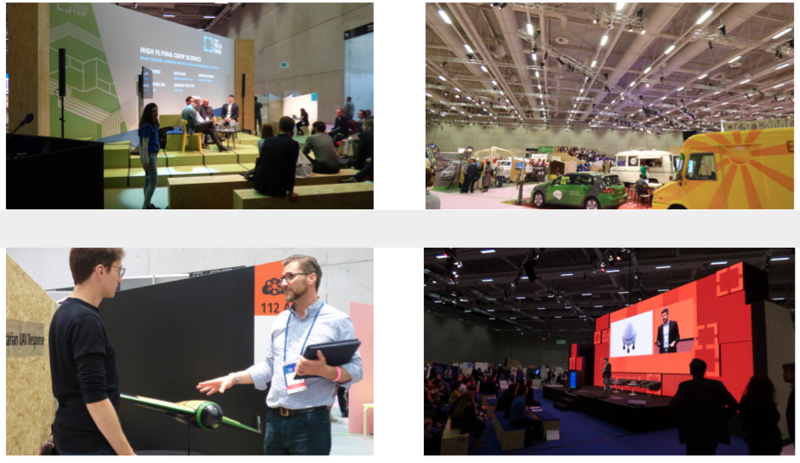 CUBE Tech Fair took place on May 10th/12th, 2017 in Berlin and was a great opportunity for us to be a part of an socially conscious ‘Tech Fair’ was, despite being a launch event, attended by over 5,000 people over the course of the event. We were asked to display Pouncer, take part in their Business Breakfast Forum as well as taking part two in ‘Humanitech’ and ‘Agritech’ forums taking questions from competition entrants, delegates and guests. Pouncer could be used to deliver animal food supplies further down the line.A highlight for Nigel was to be able to meet and discuss Windhorse / Pouncer with Robyn Wright - actor / humanitarian / philanthropist who loved our concept and felt it could be a viable method of getting aid into the hands of those that need it as quickly as possible. It was great to be able to explain the value of Highly Automated Aerial Vehicle System (HAAVS) in disaster situations to people directly - even before we explain Pouncer will also be edible to maximise useful load per vehicle. Obviously people have questions and reservations but after 5 minutes, all saw Pouncer’s potential to save lives. Another common theme was that people were pleased to see UAV technology finally being used to help rather than hinder or just entertain humanity. Although in a significant minority, there were other UAV companies at the event. GermanDrones are using their Songbird 1400 VTOL Fixed Wing UAV to help emergency services in Germany with surveillance in emergency situations. Good luck Guys!This was the first big event we had participated in as Windhorse Aerospace with the Pouncer HAAVS and we held court with the best of them.Thanks for a great event guys and look forward to seeing you next year - with flying vehicles instead of models of course! A social enterprise that seeks to positively impact the lives of women and girls throughout Africa. Use wearables to simplify and streamline the use of PCs, terminals, smart glasses and smart watches. A novel approach for fighting air pollution. Know your air. Empower yourself.